“Rudolph the red nose reindeer, had a very shiny nose” or a very fluffy nose, like our paper plate Rudolph Reindeer Craft. 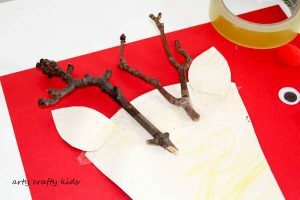 I adore the simplicity of this festive craft and it’s one that children will be able to make and assemble themselves. 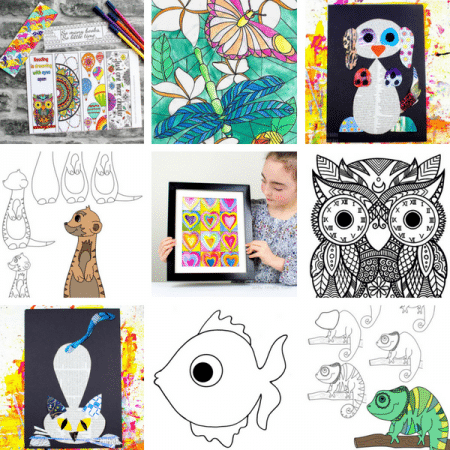 Using just a few materials that you’re likely to already have stashed away in the craft cupboard, it could be set up very easily. But first, you will need to pop outside and collect some antler twigs! Luckily they embraced the idea and had a blast rummaging through the leaves in pursuit of the perfect antler twig! 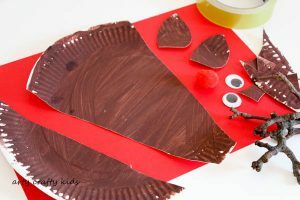 First paint the Paper Plate brown with either brown paint or encourage the kids to do some colour-mixing to make brown – in my experience, kids rarely have trouble making brown! TIP: To ensure the paper plate doesn’t get too soggy and dries quickly, try sponge painting! Cut the Paper Plate to shape and cut out two ears with the off-cuts. Attach the ears and twigs using some tape. TIP: Masking tape is a great alternative to sellotape as kids are able to easily tear or cut pieces off for themselves. 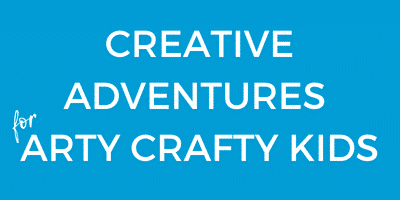 It’s particularly handy for kids who enjoy junk modeling! Finish off with some googly eyes and a big red nose! 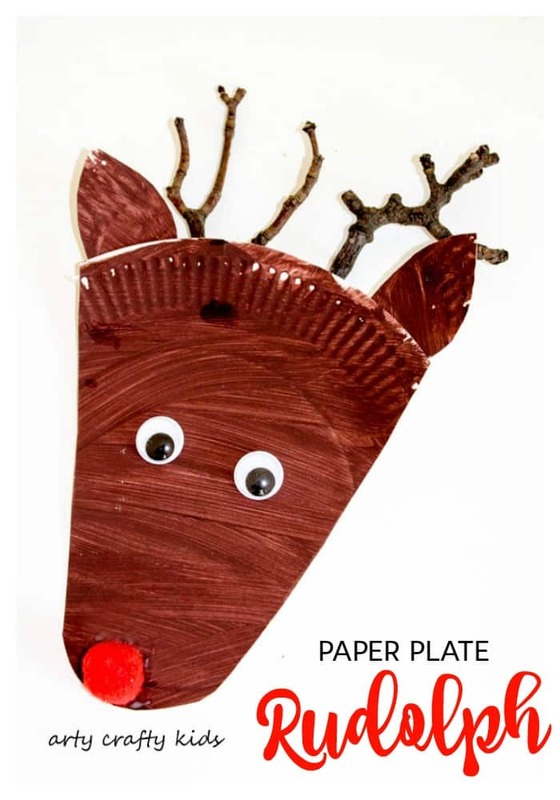 And ta-da…your kids should now have a super cute paper plate Rudolph Reindeer Craft! 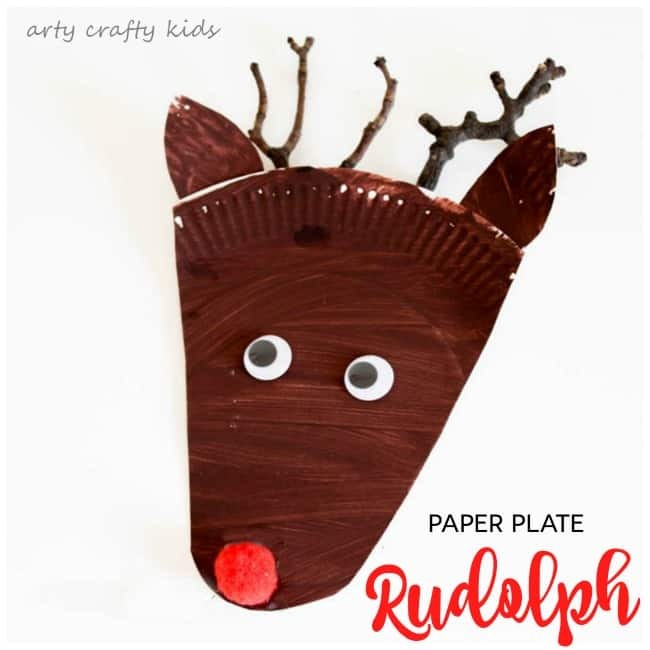 Your kids should now have a super cute paper plate Rudolph Reindeer Craft! 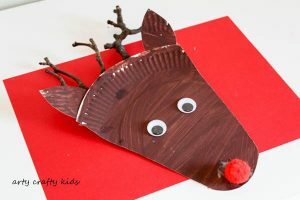 If you don’t have any paper plates to hand, maybe try making Rudolph Reindeer with a paper roll?